Prospective members must provide a DD-214 (or equivalent document) showing honorable discharge & service dates. 1. Stop in to Post 8 to apply for membership OR complete an application by clicking here; OR click on "APPLICATION" menu under "MEMBERSHIP" (top left). 3. PROVIDE a copy of your * DD214 discharge (or equivalent document) to Post 8 Adjutant. Congressional law requires us to verify eligibility. 5. If your email is correct, adjutant will contact you. After eligibility verification & payment, your new membership card will be sent to you by first class mail. Are you eligible? See dates below. ===>1. Completed Member Data Form (obtain from Post 8 or your old post; requires wet signatures). Please go to the AL SITE HERE TO RENEW. *Eligibility dates Aug 1990 to present remain open until a future date to be determined by Congress. Questions? Contact adjutant [at] legiondc8 [dot] org; or stop by Post 8 (hours). DESCENDANT OF A WARTIME VETERAN? 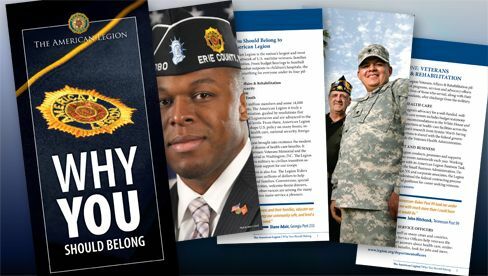 Join the Sons of the American Legion or the American Legion Auxiliary! (ask for Rick Copeland or Jay Sweeney); or contact adjutant.